This is the unit that started it all. 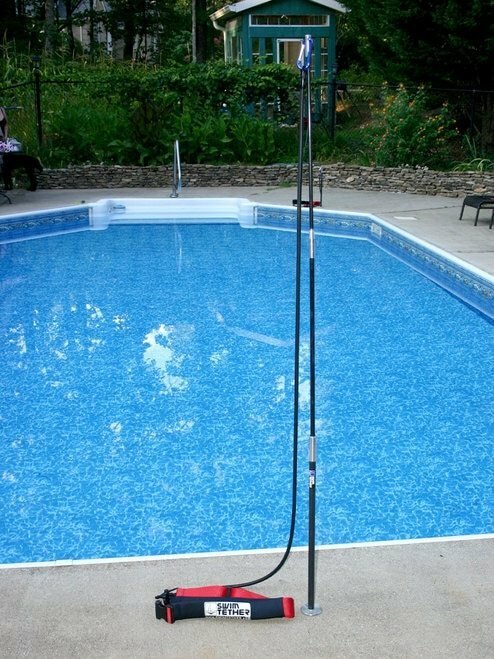 Constructed of three high quality fiber rod poles that easily assemble to over 6 feet of lean mean resistance training equipment in a matter of seconds, you'll be swimming to your hearts content in no time. No Flip Turns. No annoying cords strapped to your feet or ankles. Just pure resistance training that feels natural and will put your abilities to the test. 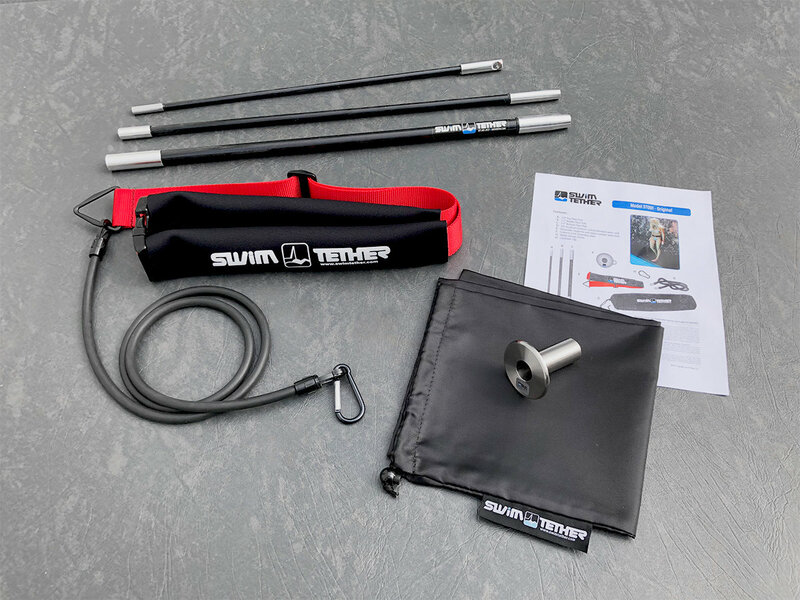 Coaches love the Swim Tether™ since there's no chasing you down the pool to analyze your stroke for improvements. 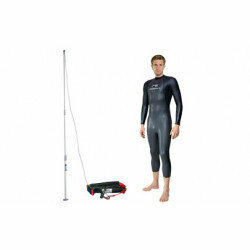 This is a complete kit & includes everything you need to install and start swimming! Neoprene Covered Nylon Belt - Accommodates Waists Up to 54"